When traveling in an unfamiliar place or somewhere that is busy, it is easy to get nervous about one's belongings. Is there something that makes it a target of theft? Is a purse or wallet carried in a way that could be taken by a passerby? Are cash and credit cards in an obvious place? The truth is, when traveling abroad or just to a local bar it's important to keep belongings safe. There are some tricks to keep valuables safe and the best part is that it is inexpensive to do so. First, think about the location . While on a beach, visitors usually want to have some money available just in case. It's no fun taking turns just to watch over bags. Everyone wants to enjoy the ocean together and not have to worry about someone stealing stuff. Do not take anything that would be devastating if lost or stolen. For example, do not bring a fancy watch or credit cards either. Lock these up in the hotel instead. Only bring enough money that if it did get lost or stolen it wouldn't break the bank or ruin the trip. What's an obvious thing to bring to the beach that wouldn't stand out? Sunscreen. A little, cleaned out empty bottle of sunscreen can camouflage money. It's a perfect disguise and can be left confidently without fear of being taken. And if for some reason it is taken, it's okay because there is only a small amount of cash. This is just one inexpensive example of how everyday items can help carry important things without fear of theft. Similar items include an empty aspirin bottle or plastic chewing gum containers. Do not put valuables in one place. Even though it seems highly convenient to place all valuables together, it is better to keep them in different places. Case in point, while in Peru at the beautiful floating reed islands of Lake Titicaca, a person on a tour had left their camera pouch on the boat. Not only was the camera in it, but also her credit card and cash. Needless to say after it was stolen, this ruined her experience for a few days. Many people attend seminars and stay extra days for a personal vacation. 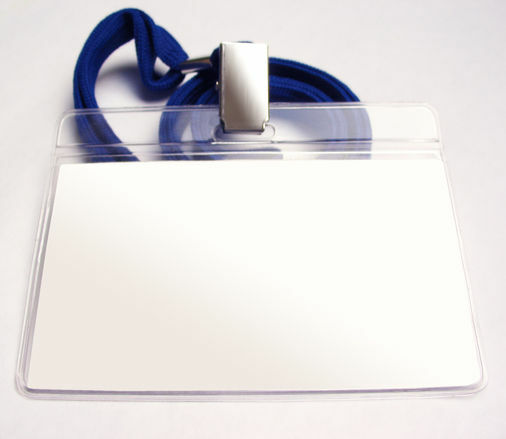 Usually the name tag lanyards are not the break away type so they'll remain around the neck and can be hidden underneath a shirt. The plastic badge holding part can sometimes wear away so asking for extras at the end of the seminar is a good idea. Travel on and travel smart whether it be at a local festival or across the world. This guest post was written by Frank Laughlin. An innovator and adventurer at heart, Frank is committed to providing unique ways of inspiring ideas, sparking creativity and encouraging problem solving. As creator of ideas2apply , Frank encourages creative thinking via the exploration of topics from multiple angles. When not generating new and unique ways to help young minds explore and grow, Frank cultivates his need for adventure through frequent visits to theme parks, sports venues, and instrumental music performances.